“Because of this, God in his wisdom said, ‘I will send them prophets and apostles, some of whom they will kill and others they will persecute.’ Therefore, this generation will be held responsible for the blood of all the prophets that has been shed since the beginning of the world, from the blood of Abel to the blood of Zechariah, who was killed between the altar and the sanctuary. Yes, I tell you, this generation will be held responsible for it all.”—Jesus (Luke 11.49-51)This week I want to begin what I think will be an eight-part series on the final eight prophecies of Jesus in Luke, regarding Jerusalem and the options that were laid before her. If you are like me, that doesn’t sound very exciting at all, but trust me, this will not be a waste of your time. The reason I would like to share these eight prophecies with you is that they offer us immense insight into the character of the God we see in Jesus, as well as an abundance of wisdom in knowing how to apply Jesus’ teachings to our lives today. 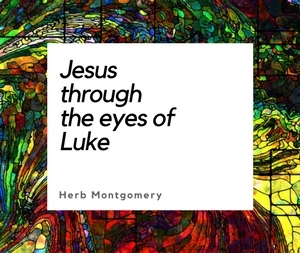 Remember, Jesus’ teachings, although they are spread all over the four gospels, are concentrated in both Jesus’ Sermon on the Mount (Matthew 5-7) and Jesus’ Sermon on the Plain (Luke 6). If you want a crash course inside the headspace of Jesus and what He was passionately seeking to accomplish, these passages are where to begin. Jesus’ “golden rule,” his teachings on enemy forgiveness and love, IS this small gate and narrow path that leads to life. Remember how we looked at the idea of retaliation, an eye for an eye, leading to the whole world being blind, and ultimately destroyed. The way of retribution, rather than restoration, is the wide gate and broad path that everyone seems to follow, but it leads to destruction. The context of our passage this week in Luke 11 is that Jesus has been working toward the goal of the Jewish people embracing nonviolence as a way of winning against their Roman enemies, rather than violence, looking and hoping for a militaristic Messiah to come in and crush the Romans. Jesus is clear that this way will lead to their destruction if they should so choose it. Jesus’ way of peace, if the Jewish people would have embraced Jesus and his teachings, would have not only eventually ended in Jerusalem’s liberation, but also in winning their Roman enemies over to embrace this Messiah named Jesus and his radical way of living life. This is what all the prophecies of the Messiah in the Old Testament foretold. Imagine with me. Jesus was offering a path that would lead to fulfillment of the Old Testament prophecies, including the establishment of God’s kingdom in a Jewish context, and ultimately to the Old Testament’s prophecies concerning conversion of the nations (see Psalms 2; Daniel 7.13-14; Isaiah 66.18-23, 60.1-22; Ezekiel 37.28, 39.21-29; Zechariah 2.11, 6.15, 8.20-23, 14.1-21). What a hope! But the catch was that the people of Jesus’ day would have to give up their violent ways of living, their “eye for an eye” way of solving problems, and learn a new way, the way of enemy love and forgiveness, taught and modeled by Jesus. Also, it would be good to keep in mind that this first of eight prophecies by Jesus concerning Jerusalem seems not to offer the option of repentance. This, too, is much like Jonah with Nineveh, or Isaiah with Hezekiah. But like these, Jesus’ words in Luke 11.49-51 are not irrevocable; repentance is always a possibility. As we continue through the rest of these eight prophecies, we are going to see Luke open the possibility of another outcome through repentance, in subsequent warnings. At this stage, it was not too late for Jerusalem, IF they would embrace Jesus and his teaching on the way of peace, enemy love and forgiveness. Jesus was offering them a way to be healed and to heal the world. They were instead choosing a way that Jesus saw would lead to destruction. What does this mean for us in our daily lives? What does it mean to live our lives, as Jesus’ followers, in the way of enemy love and forgiveness? Maybe it’s a person at work that is difficult. Maybe it’s a family member whom you can’t stand. Or for those of you in school, maybe it’s a fellow student. What does it mean to relate to them without the way of retribution, retaliation, and eye for an eye? But instead, like the God we see in Jesus, to freely forgive, to even love them, to work for their restoration and healing from their dysfunction? What does it look like to see those who are your enemies as victims of the real enemy? To see them in need of your compassion, patience, prayers, and possibly active engagement on your part, seeking to restore them to the way of love for which they were made? Jesus came to save people from the path that leads to destruction. Jesus was a revolutionary, calling us to a way of living life that was radically different. It was the way that leads to life. In the specific context in which Jesus was ministering, Jerusalem was on a collision course with annihilation, but it was not too late. They could still follow Jesus and his new way of life and be saved. One path intrinsically led to death, the other intrinsically lead to life everlasting. 1.This week I want you to spend some time focusing on Jesus’ Sermon on the Mount in Matthew 5-7 as well as Jesus’ Sermon on the Plain in Luke 6. 2.I want you to use holy imagination and prayerfully try and map out on paper how Jesus’ way of doing life would intrinsically lead to healing, a restoration of the relationship with the Romans, and ultimately LIFE. Focus specifically in relation to their attitude toward their oppressors, the Romans, because this was the cultural context in which Jesus’ teachings were given. I want you to also map out, if you can, how their present course would continue to possibly escalate to their destruction. This is actually easy to map out, because that is exactly what historically happened. 3.Think about your own relationships in your daily life. List five relationships you currently have with other people. Whether you consider them your friend or someone you place into the category of “enemy,” ask yourself if the way you relate to them is the way tending toward life or a way that tends toward death. Try to be honest. And where you find paths that lead to death, ask Jesus to help you make changes, even if they are small changes, that will put you, in that relationship, at least for your part, on the path of life. 4.Share any insights or discoveries you receive with your HeartGroup this upcoming week. We’ll be looking at the second of Jesus’ eight prophecies concerning Jerusalem next week. Until then, wherever this may find you, keep living in love and loving like Christ, until the only world that remains is a world where love reigns.